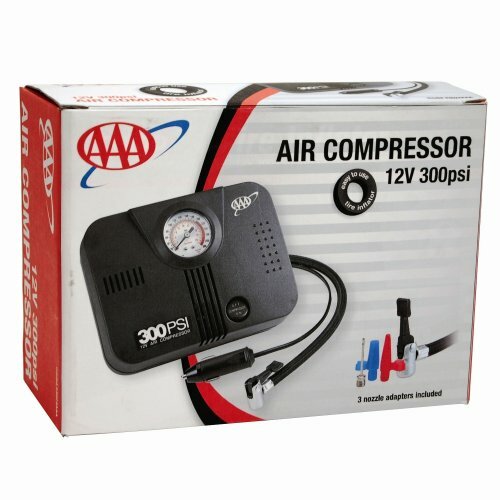 AAA means quality, and with the AAA 300 PSI Air Compressor, that is what you get. You never know where the road may lead or what may happen, so don't be caught unprepared. Lifeline First Aid--a leader in the field of first-aid and disaster readiness products--has teamed up with AAA to bring you a line of high quality road safety accessories. 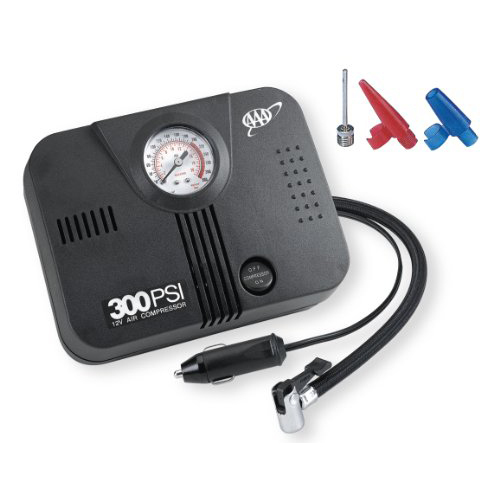 This high quality, DC 12 300 PSI Air Compressor is ideal for inflating tires that have lost air. The compressor's high quality allows for it to inflate a standard size tire (P195/65 R15) from 0 - 35 PSI in 8 minutes. The Compressor's power cord connects easily to your automobiles cigarette outlet, and includes 3 nozzle adapters for different size inputs, and features a built in pressure gauge on the exterior of the compressor to ensure that you inflate the tire to the correct pressure requirement for your tire.